The ability to attribute the source of an intentionally released biological threat agent and quickly apprehend and prosecute the perpetrator is essential to our nation’s safety. However, questions remain about whether Department of Homeland Security (DHS) and Federal Bureau of Investigation (FBI) capabilities have improved since the 2001 anthrax attack. 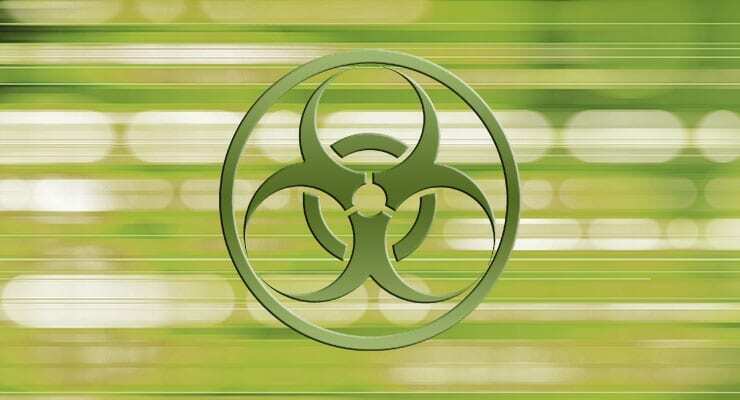 A new assessment by the U.S. Government Accountability Office (GAO) advises the DHS to conduct a formal bioforensics capability gap analysis to more accurately identify needs in bioforensics capabilities to help guide current and future investments. GAO’s review focused on the agencies’ efforts since 2010, when the FBI’s investigation of the 2001 anthrax attack was closed. GAO analyzed relevant agency documents and interviewed agency officials and scientists on issues related to bioforensics. GAO also convened a meeting of experts with NAS’s assistance to discuss potential bioforensics needs. Both DHS and FBI have identified some gaps in their bioforensics capabilities, but have not performed an adequate formal analysis, leaving a number of questions on the scope of deficiencies and how to effectively priorities acquisitions to address those gaps. DHS held informal meetings to seek FBI input on capability gaps associated with recent casework. Gaps identified through this informal process include the inability to characterize unique, novel, and engineered agents and “unknowns” and to understand and communicate uncertainty associated with analyzing complex biological samples, among other things. According to the GAO, the absence of a well-documented bioforensics capability gap analysis, the rationale for DHS’s resource allocations, or its plans for future enhancements to existing capabilities are not clear and thus cannot ensure that resources are being targeted to the highest priority gaps. In addition to DHS and the FBI, other organizations, such as the National Research Council (NRC) of the National Academy of Sciences (NAS), and the National Science and Technology Council (NSTC) of the Office of Science and Technology Policy (OSTP), have identified potential bioforensics capability needs. These needs can generally be grouped into three areas: science, technology and methods, and bioinformatics and data. GAO also convened a meeting of experts, with the help of NAS, and these experts updated a list of potential bioforensics capability needs that NAS and OSTP had previously identified within each of these areas. Some of the needs these experts confirmed as still relevant were similar to those DHS and FBI officials have identified, while others were different. For example, like DHS and the FBI, the experts agreed that an ability to characterize genetically engineered agents was needed, but they also suggested that evaluating existing protocols, such as those for DNA sequencing, to determine whether they were validated, was needed. GAO believes that this information may be helpful to DHS and the FBI as part of any future bioforensics capability gap analysis they undertake. Read the full report: DHS Needs to Conduct a Formal Capability Gap Analysis to Better Identify and Address Gaps (Feb 2017).